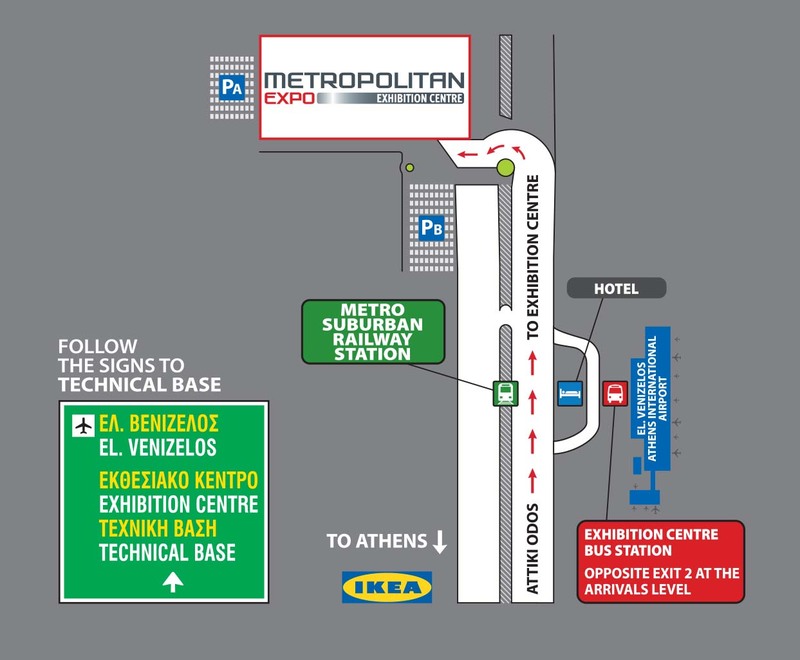 METROPOLITAN EXPO is located 2 km away from “Eleftherios Venizelos” Airport. You can get by car via Attiki Odos, heading towards “Eleftherios Venizelos” Airport and by following the road signs to ”Technical Base” and ”Exhibition Centre” once you get there. There are two (2) free of charge organised parking lots, Parking PA and Parking PB , covering a total area of 100.000 square meters. You can get by following the road signs Parking for Visitors.